What a lovely bunch! The epitome of tropical. 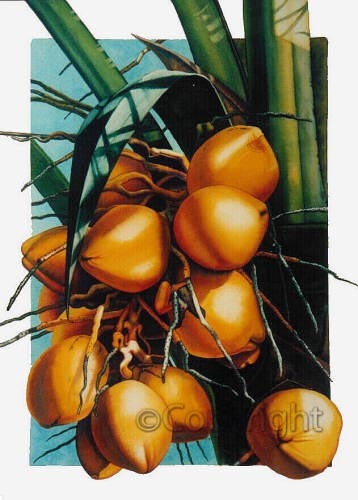 I loved the contrast between the round shapes of the coconuts and the spindley tendrils of . . . whatever those bits are! This work is available as print on paper, or custom sized print on canvas.